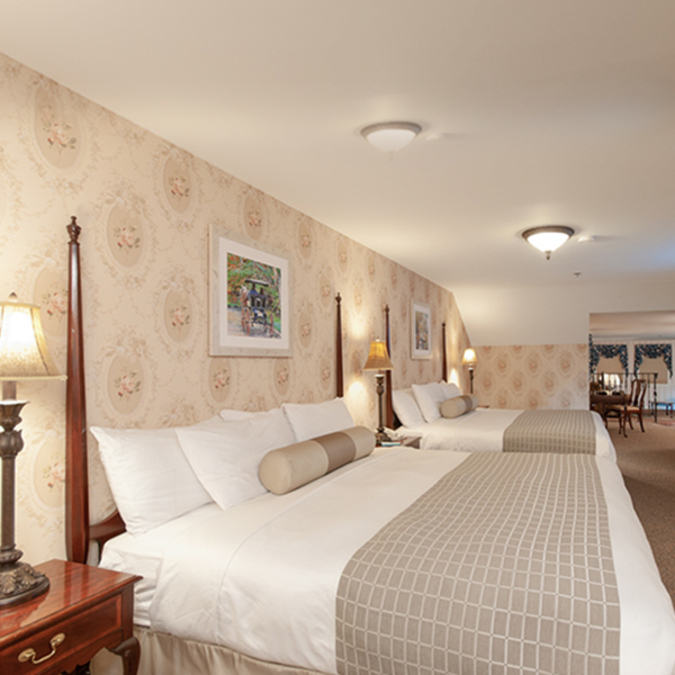 For Lake View Hotel, a gem of an 85 room resort on historic Mackinac Island, Michigan, every year of operation is a reminder of the Victorian tradition in which the hotel is steeped. Built in 1858, Lake View is the oldest operating hotel on the island. Its longevity makes it the “Grand Dame” of lodging on this scenic island and a treat for guests wanting to imagine themselves traveling back in time. It isn’t easy keeping a hotel in good shape that’s been around since James Buchanan was President. Spanning three centuries, the hotel has changed quite a bit over the past 160 years, notably when large turrets were added in the late 1890’s, and then again in the early 1980’s. That’s when Lake View embarked on its largest reconstruction project resulting in 47 new guest rooms, conference facility, two restaurants and bars, and a four-story atrium with the island’s ﬁrst enclosed heated swimming pool. In 2008 the hotel underwent a million dollar facelift, shoring up the foundation and facade. Several upgrades have been completed since and new projects are on-going. Lake View’s new manager, Mr. Kris Klay, has ambitious plans to stay on top. For 2018, guests will enjoy air-conditioned rooms with premium, pillow top beds , ﬂat screen HDTVs, Keurig coffee-makers, bluetooth radios, recharging stations for electronic devices, and in-room safes. Physically, the hotel has never looked better thanks to constant care and upkeep by a dedicated maintenance and housekeeping staff. Lake View’s on site Goodfellow’s Restaurants also updated its three establishments by installing new decor and raising the ceiling in several areas to improve its guests’ dining experience. To be sure, much is required behind the scenes to prepare for each season. Fortunately, Lake View Hotel hits its stride while accommodating its guests’ desire and budget. Lake View has a summer Family Vacation Value Package that includes two nights lodging, free ferry tickets, $100 food credit at Goodfellow’s, and all taxes and fees. Book now to ensure best availability. Learn more at lake-view-hotel.com or call toll free (800) 207-7075 for reservations and more information.